Last Wednesday, nine members of the Texas Patriots PAC attended a Lone Star College Board of Trustees’ meeting. The agenda was to vote on whether Lone Star College (LSC) should schedule a $500 million bond election for May 11, 2013. Surprisingly, in a meeting called to consider a matter that would require public support to succeed, the Board had made no provision on their agenda for public comment prior to making their decision. However, in view of the unusually large number of people who had shown up to speak on the bond offering, the Chairman of the Board, Randy Bates, graciously allowed public comment. However, our group was limited to one person speaking for three minutes even though almost all of the TTP attendees had requested permission to speak. While Lone Star College (LSC) experienced an 89% increase in enrollment (growing from 42,200 in 2006 to 77,877 in 2012), the number of faculty only increased 11% over the same period (growing from 2,460 in 2006 to 2,727 in 2012). As a consequence, the ratio of students per faculty member increased from 17 to 1 in 2006 to 29 to 1 in 2012. The ratio of full-time to part-time faculty can be taken as another measure of the quality of education being provided, since the best teachers can demand permanent positions wherever they teach and part-timers may not have the same level of commitment or provide the continuity of full-timers. LSC has shown little interest in growing the number of full-time faculty; the ratio of full to part-time instructors moving from 1:2.7 in 2006 to 1:2.3 in 2012. Do these statistics support a conclusion that LSC is putting education first? The number of administrative staff at LSC increased much faster than faculty; moving from 2,200 in 2006 to 2,958 in 2012 (33%). Is this consistent with LSC putting education first? Spending on instruction at LSC increased 40% from 2006 to 2012, but as a percentage of total spending, spending on instruction dropped from 27% in 2006 to 17% in 2012. These statistics support a growing impression that education may not be the first priority at LSC. Turning to debt. LSC’s existing debt increased from $230 million in 2006 to $583 million in 2012, a 153% increase that well outpaced the enrollment increase over the same period of 89%. LSC used this borrowing primarily to grow its physical plant. During the last six years, total square footage of academic buildings increased 110% (from 1,575 thousand to 3,041 thousand), which was basically in line with enrollment increases. But square footage of administration buildings grew 170% (from 450 thousand to 1,215 thousand), increasing the square footage per administrative worker from 183 sq. ft. in 2006 to 446 sq. ft. in 2012. Here again, the conclusion appears to be that LSC is not putting education first. The comments had no effect on the vote for the bond referendum, which was unanimous in favor of calling the bond election. 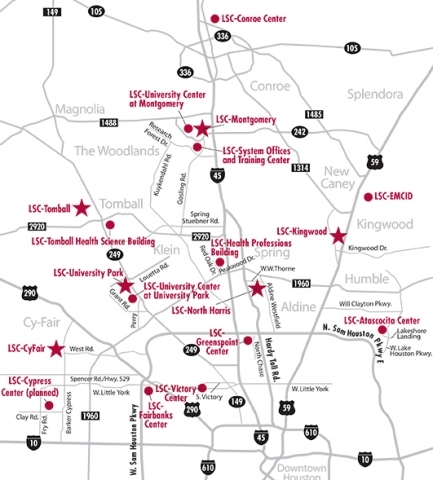 LSC’s proposed $500 million bond issue could double the college’s total indebtedness to over $1 billion, depending on the timing of the new debt issuance and the retirement of existing debt. The Board maintains that raising significant new debt should not be a problem because it will not affect the tax rate. This is the false argument commonly used by taxing authorities to justify taking on more debt. What we as taxpayers care about is efficient and limited government. Tax rates are irrelevant, since we live in an area where housing values are increasing. According to Montgomery County, average home values in CISD have increased from $130,235 in 2003 to $218246 in 2012. This means that from 2003 to 2012, the tax LSC charged the average homeowner in CISD grew from $149 to $264, a 77% increase. This compares to the 5.7% increase in the LSC tax rate over the same period. The real questions are: 1) why is the new debt needed and how will it be spent; 2) how will the new debt improve the education offered by LSC in a meaningful way; and 3) what are LSC plans for repaying the existing and new debt. LSC Board has a lot of explaining to do before TPP would be able to support this bond referendum. Get to know the "citizens review facilities committee" recommending the $500M bond!